Floors squeak when floorboards rub against each other or against the nails securing them to the subfloor. 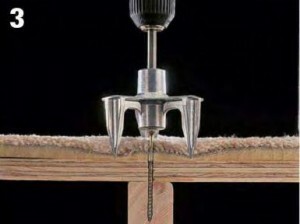 Hardwood floors squeak if they haven’t been nailed properly. Normal changes in wood make some squeaking inevitable, although noisy floors sometimes indicate serious structural problems. If an area of a floor is soft or excessively squeaky, inspect the framing and the foundation supporting the floor. Whenever possible, fix squeaks from underneath the floor. Joists longer than 8 feet should have X-bridging or solid blocking between each pair to help distribute the weight. If these supports aren’t present, install them every 6 feet to stiffen and help silence a noisy floor. 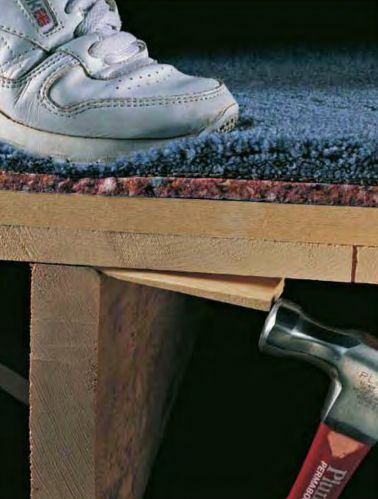 Step1: If you can access floor joists from underneath, drive wood screws up through the subfloor to draw hardwood flooring and the subfloor together. 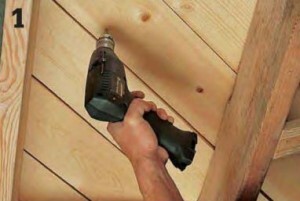 Drill pilot holes and make certain the screws aren’t long enough to break through the top of the floorboards. Determine the combined thickness of the floor and subfloor by measuring at cutouts for pipes. Step2: When you can’t reach the floor from underneath, surface-nail the floor boards to the subfloor with ring-shank flooring nails. Drill pilot holes close to the tongue-side edge of the board and drive the nails at a slight angle to increase their holding power. Whenever possible, nail into studs. 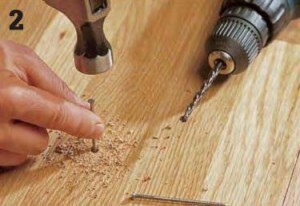 Countersink the nails with a nail set and fill the holes with tinted wood putty. 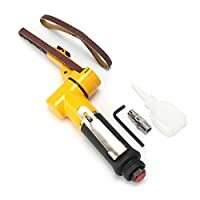 Step3: Eliminate squeaks in a carpeted floor by using a special floor fastening device, called a squeeeeek No More, to drive screws through the subfloor into the joists. 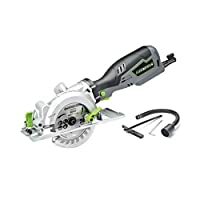 The device guides the screw and controls the depth. The screw has a scored shank, so once it’s set, you can break the end off just below the surface of the subfloor. 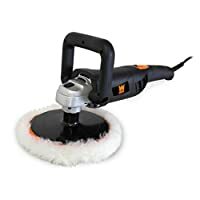 Step4: Eliminate squeaks in hardwood floors with graphite powder, talcum powder, powdered soap, mineral oil, or liquid wax. Remove dirt and deposits from joints, using a putty knife. 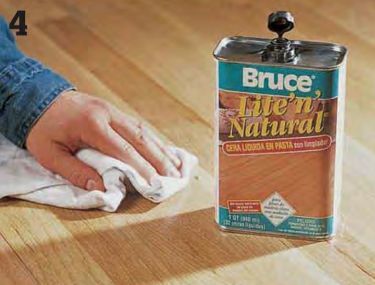 Apply graphite powder, talcum powder, powdered soap, or mineral oil between squeaky boards. Bounce on the boards to work the lubricant into the joints Clean up excess powder with a damp cloth. Liquid wax is another option, although some floor finishes, such as urethane and varnish, are not compatible with wax, so check with the flooring manufacturer. Use a clean cloth to spread wax over the noisy joints, forcing the wax deep into the joints. 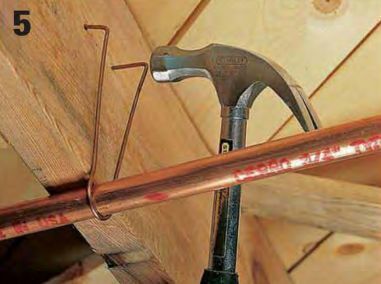 Step5: In an unfinished basement or crawl space, copper water pipes are usually hung from floor joists. Listen for pipes rubbing against joists. 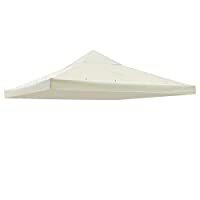 Loosen or replace wire pipe hangers to silence the noise. Pull the pointed ends of the hanger from the wood, using a hammer or pry bar. Lower the hanger just enough so the pipe isn’t touching the joist, making sure the pipe is held firmly so it won’t vibrate. Renail the hanger, driving the pointed end straight into the wood. Step6: The boards or sheeting of a subfloor can separate from the joists, creating gaps. 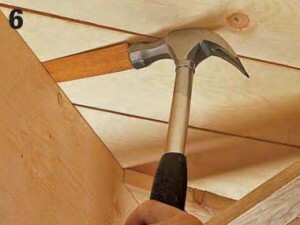 Where gaps are severe or appear above several neighboring joists, the framing may need reinforcement, but isolated gapping can usually be remedied with hardwood shims. 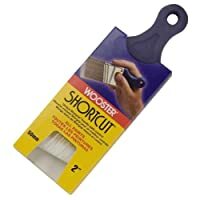 Apply a small amount of wood glue to the shim and squirt some glue into the gap. using a hammer, tap the shim into place until it’s snug Shimming too much will widen the gap, so be careful. Allow the glue to dry before walking on the floor.